This blanket is very soft and lightweight and single thickness. The edges are finished with serged stitching, and the corners are rounded. 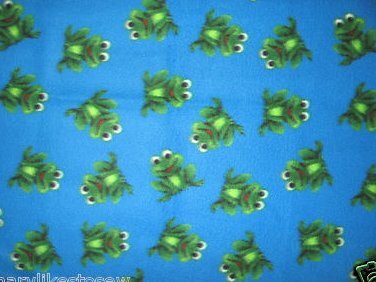 So cute and soft Happy frogs.